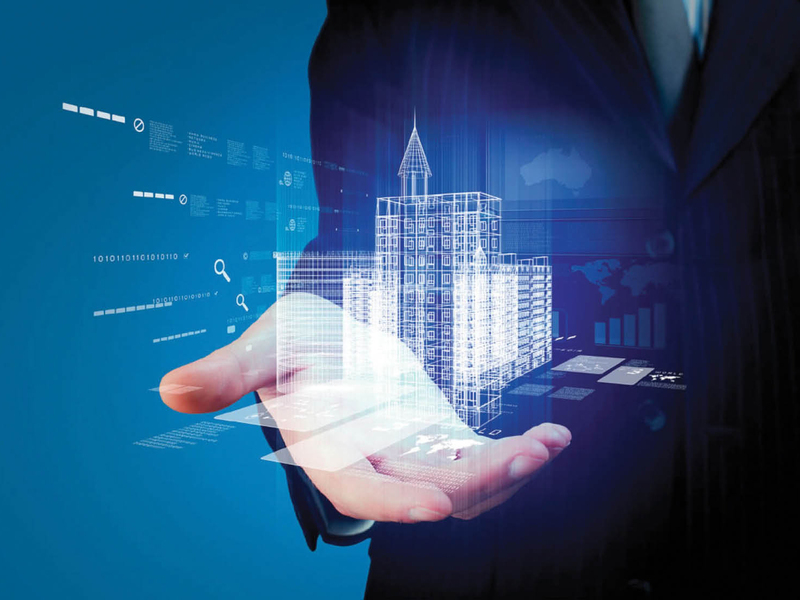 Intelligent buildings: threat or opportunity? Intelligence in the built environment is without doubt an exciting and inspiring concept. Technical descriptions of wondrous objects rarely do them justice. “The acquisition of knowledge, and responses to the information in real time” is a dull interpretation of the role intelligent buildings are taking in the management of not just building services, but also the lives of people who live and work within the envelope. Not quite sentient, but mighty close, intelligent buildings will gather a large amount of data about every aspect of these structures. Atmospherics, power consumption, population, parking, security, access, maintenance – well, the list grows exponentially. Through real time data analysis, building management systems react to emergencies without waiting for someone to throw the switch. In the event of fire (or potential fire) a building can automatically close off the gas, open the HVAC vents, drop fire curtains, and then keep track of who evacuates and who is left behind. But let us focus down to a more human level. In an economy of active work, where hot desks and meeting zones are in short supply, the building can tell you where a spare desk can be found and guide you there. Meeting spaces are equally easily found and booked. Can’t find your departure gate at the airport? Or the shop in the centre? You can be led by the hand – the hand that holds your phone that is. In healthcare, the potential is perhaps even more important. Air quality and management is vital throughout hospitals, from theatre needs to using air pressure to control the spread of bacteria. Patients ID bands will have more than just the barcode, but actual RFID chips that link to entire medical files, not just IDs. Lost patients (yes, it does happen) can be tracked and surgeries made more secure by theatres that read everybody and everything within its walls, from blood products to expensive equipment. Data can and will be sourced from an array of devices; cameras, foot traffic, heat signatures, atmospheric sampling and of course feedback from mechanical components that give an alert even before a breakdown occurs, pre-emptively ordering new parts. Honeywell, a leader in smart buildings software has recently introduced a new product into the arena. Honeywell Vector Space Sense is designed to create a map of how space is used within a building. By collecting data from multiple sources such as smart lights, Bluetooth beacons, and mobile apps a clear picture can be created of actual space usage. From overcrowding to underutilised areas, commercial decisions can be made that can reduce company costs through reallocation of space and a revision of scheduling priorities. “Expenses associated with unused building spaces often go unnoticed, simply because it’s so difficult to get an accurate, moment-by-moment view into how building spaces are used, or if they’re being used at all,” says John Rajchert, president, Building Solutions, Honeywell. Building large scale developments such as shopping precincts and centres is complex, including the double consumers in the form of retail tenants and general consumer clientele. The promise of intelligent building systems is a tenant draw card, as it offers across the board cost reductions, says Justin Mills, executive general manager of Vicinity Centres which manages 80 centres across Australia including Chatswood Chase in Sydney, Chadstone in Victoria. “We know we need to be able to deliver cost savings to retailers wherever possible so if we can reduce the operating costs of a centre then our retail partners are going to get a better deal, which will help drive their business success. Vicinity, which has a staggering 2.8 million square metres of lettable space, has installed several intelligent systems, including a self-sufficient carpark lighting system. A first in their Oakleigh Central centre in Victoria, all the operational activities are now linked through the Vicinity network, which means they can be managed in a remote centre. “Our team can monitor entry doors, lighting, building management systems and CCTV through one system which means our in-centre teams can be deployed to other tasks,” says Mills. Vicinity also invested in intelligent waste services, which Mills says has added allowed further cost savings. “We’ve recently introduced robotic compacting waste bins which have seen our cleaning teams spend less time emptying bins and shifting rubbish to waste docks, so they can now look at other presentation-focused tasks. The next innovation is a waste bin that introduces artificial intelligence into the recycling process by analysing the rubbish that customers dispose of. The waste bin allocates rubbish into categories which are then processed for recycling or diverted to general waste. The technology helps reduce contamination in our recycling and create efficiencies that complement our current waste disposal systems. Sexier perhaps is the Jetsons style centre cleaner. “Another great example of smart technology at work is what we are doing in robotics cleaning to help lift customer experience in centres. Using robotics to clean large-scale areas boosts efficiency and productivity,” says Mills. “We’re also looking to automate in-centre processes and systems covering the maintenance of equipment and planning for capital works. This will streamline activity with our service partners and provide us with a better understanding of customer and retailer feedback. “We need to let buildings do things on their own,” says Schiemann. Albeit with some human assistance. Humans install the solar panel and technology will take that potential and run with it - though early on in this 4th Industrial Revolution, it has run in different directions and not all of them fruitful. The initial uptake of intelligent services and automation was massive, even urgent. The result of the initial ‘all aboard’ rush resulted in some systems incorrectly integrated and installed, resulting in many a wall being ripped out, and systems replaced. What was needed was adherence to a systems protocol, such as KNX, which has now been adopted in Australia. This internationally recognised system is an open protocol and is accepted as the world standard for intelligent building design. According to Schiemann this has resolved international and national problems – and allowed the systems to expand successfully even into the residential space. “Geofencing,” says Christian, is the electronic ‘virtual’ boundary that one can create around a property. “The home system is alerted when I am approaching home and puts on the lights.” Or opens the gates, turns on the heating and instigates any other number of actions connected to IoT devices in homes around the world. Such domestic projects are simply scaled up to commercial size. Hotel rooms for instance may sense the approach of a guest’s key. Before the door is opened, the curtains are opened, the air conditioning started, lights turned on. The payoff is a guest who feels welcomed and will return to the property. When the guest leaves, the suite closes down all services and returns to the suite to an energy efficient space. The increasing vertical space is the area in which design is perhaps most active. Coming to Melbourne by 2020 will be a remarkable skyscraper designed by Fender Katsalidis (FK). The project, Australia 108, will be the tallest building in Australia by roof height, and is seen as a big brother to Eureka Tower, also a Fender Katsalidis design. Founding partner and CEO of FK is Karl Fender OAM. Despite his company’s commitment and take-up of building intelligence systems, the philosophy of the firm remains the same. For them it is a holistic approach. “We build the best possible building, design the best possible building that we can. It is the beauty of the end product that consumes us,” says Fender. The path to that resolution is highly complex, including extensive use of both virtual 3D modelling and 3D printing of actual models. With this ability to physically hold a building model, a 200mm tall perfect representation of a project, the language of architecture is better understood by all concerned. “It is inclusive,” agrees Fender. With benefits extending to builders, quantity surveyors and of course clients. This digital option which once cost architectural firms huge amounts of money, is now commonplace. When asked to look at what new options excite him, Fender was quick to explain the importance of the new forms of vertical transportation. “The new designs are a quantum leap forward,” says Fender, responding to the new rope less, counter-weight free elevator systems that will move people both vertically and horizontally, using the power of magnetism. With many cabins able to move in a single shaft, capacity is increased, waiting time is slashed and the dynamic of moving between buildings, at height, becomes a very real option. The balance of robotics versus humanity is what concerns some. Born of an Orwellian paranoia, or a true concern that learning machines will one day run our lives. It is all an unnecessary distraction according to Christian Schliemann, who sees that along the same timeline that we have developed this technology, is the expanded opportunity for humans to study, innovate and live more fully.